As part of this year’s celebrations of the 500th anniversary of the Lutheran Reformation, Concordia will hold a conference exploring the Reformation’s impact on parish life. “The Reformation of Worship and Preaching” will feature Rev. 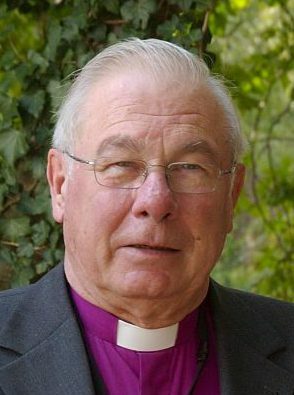 Dr Jobst Schöne, bishop emeritus of the Independent Evangelical Lutheran Church of Germany (SELK) and Rev. Fredrik Sidenvall, Principal at L. M. Engströms Gymnasium, Lutheran High School, Gothenburg, Sweden. The conference will begin after the seminary’s opening service, Sunday, 10 September 2017, 4pm. The opening service includes the installation of new professors Rev. Esko Murto and Rev. Dr Harold Ristau. The guest preacher will be Dr Naomichi Masaki, of Concordia Theological Seminary, Ft. Wayne. For those staying for the evening lecture, a paid dinner will be available at a registration cost of $15. Dr Schöne will open the conference with an entertaining keynote address Sunday evening entitled “Luther without Fake News” (Sunday, 10 September, 7.15pm). This lecture is open to the public and free of charge. On Monday, 11 September, Dr Schöne will continue with Luther’s reform of Christian worship, with “Liturgy as Confession of Faith”. Rev. Sidenvall will extend the theme to encompass preaching. Examining Luther’s own sermons, he asks how we might preach like Luther in a very different time: “‘I Believe that Jesus Christ Is My Lord’—Understanding the Authority of Luther’s Preaching in an Anti-Authoritarian Culture”. Further Reformation topics will be presented by the home team. Rev. 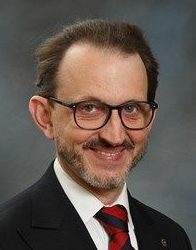 Dr John Stephenson, CLTS Professor of Historical Theology, reflects on “The Reformation of Soteriology”. What does it mean to be “saved”? Rev. Dr James Keller, adjunct faculty member and Executive Director of Lutheran Bible Translators–Canada, reconsiders the famous 95 Theses as an ecumenical, not a schismatic document. As a fruit of the ongoing dialogue between Lutheran Church–Canada and the Roman Catholic Church, three RC members of the dialogue will participate in the conference. Niagara bishop Gerard Bergie will give greetings on Sunday evening. Fr Timothy Scott, CSB, and Dr Michael Attridge (St Michael’s College) will respond to the major essays. Sunday evening’s lecture is free, but please register to help us plan. You may register for the full two-day conference, or just for one day or the other. Sunday evening’s dinner costs $15. The Monday conference costs $50, and includes a cold lunch. A discount of $25 is available to seniors for Monday’s conference. Enter the discount code “SENIOR” when checking out. Please register no later than Friday, 1 September. Payment must be received in advance. No meal registrations will be accepted at the door.